Making time to read a book when you have two young children and a husband to satisfy can be a tall order. I can’t honestly remember the last time I read a book cover to cover but it was definitely pre-children and that’s at least 4 years ago. ‘The New Contented Little Baby Book’ by Gina Ford doesn’t really count and to be honest neither of my children really fit her routines but that’s a whole other book review. At the beginning of 2013 I decided that I was going to read a minimum of four books in the year. Now I know that doesn’t sound like a lot but I wanted this to be a New Year’s resolution that I could actually achieve. The question was, what book should I read first to wet my appetite for reading? 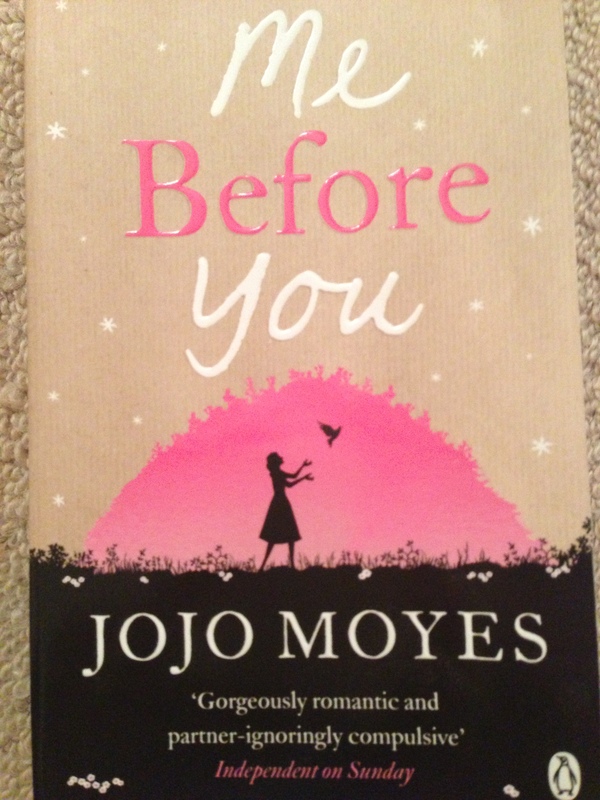 Quite often there is a post on Wokingham Gossip Girls for book recommendations and one book kept coming up time and again, ‘Me Before You’ by Jojo Moyes. To be honest, I didn’t know the subject matter before reading the book but was prepared for a romantic weepy. In an nutshell, the book is a girl meets boy story but with a lot more depth and intrigue and an ending that will leave you heartbroken. The story starts with Louisa Clark (Lou) losing her job in a café. She has limited qualifications so when she heads down to the Job Centre, she is offered various positions which for one reason or another are unsuitable. Finally her advisor recommends a job as a care assistant and although reluctant, she is eventually hired as a carer for Will Traynor who became a quadraplegic after a road accident two years previously. What Lou doesn’t know is that Will has told his parents that in 6 months time he is to end his life at Dignatus. His quality of life is poor and he is a shadow of his former self. His natural instinct is to push people away and despite his best efforts, Lou is undeterred. When she learns of his plan she sets out to prove that life is still worth living and in the process falls in love with him. This book kept me on the edge of my seat throughout and made me question my own views on euthanasia. A thoroughly good read, beautifully and sensitively written which I would highly recommend.